The Science Center at Puget Sound encompasses a thoroughly renovated Thompson Hall, combined with Harned Hall, a 51,000-square-foot laboratory space, creating a first-rate science facility unlike any other in the world. The following executive summary is excerpted from the schematic design report prepared by SRG Partnership of Portland, Ore., at the beginning of the project. SRG is the lead architectural firm for the Science Center at Puget Sound. Thompson Hall at the University of Puget Sound is home to the biology, chemistry, geology, mathematics, computer science, and physics departments. The proposed new facility (Harned Hall) and the subsequent renovation of Thompson Hall will create a new Science Center. This project responds to the college's movement into the ranks of the nation's premier liberal arts colleges and its need to provide state-of-the-art teaching and research facilities for the sciences. This schematic design report is a continuation of the predesign report, which responds to the specific goals and needs of these departments, the science community, and the University of Puget Sound. The site for the new facility is a portion of the courtyard of the existing Thompson Hall. Several other building sites were considered. The courtyard location allows for many opportunities, including consolidating the science curriculum, increasing interactions, and bringing a new vitality to the currently underused courtyard. The building plan at this location responds to the development issues as defined in the Framework Master Plan. Criteria such as building height, massing, access, service, pedestrian pathways, and relationship to the campus community and the residential neighborhood are a few of the issues reviewed in the design process. The Science Center will have two new, accessible, and clearly defined entries, one from Union Avenue on the west and the other from Karlen Quadrangle on the east. The entry from Union Avenue will be located on axis with the existing seven-story Thompson tower. The Karlen Quadrangle entry will be on axis with the Jones Hall cloisters, presenting an appropriate "front door" for science on the main campus quadrangle. The building concept consists of a three-story, 51,000 square foot science facility (Harned Hall) in addition to the existing 121,000-square-foot building (Thompson Hall). Harned Hall will be connected to Thompson Hall at all levels and provides for loop circulation on each level. The small, existing patios located at the northeast and southeast intersection of the existing three wings of Thompson Hall are infilled with active uses such as seminar and resource rooms for faculty/student interaction. Once completed, the new Science Center will create a smaller, more intimate courtyard. The courtyard, comprised of a two-level plaza, gazebo, and outdoor gardens directly accessible from the first and second floors, will invite use by the occupants of the building. Active uses are placed in key building locations overlooking the courtyard. The plans and images on these pages illustrate the concept for the Science Center. When the construction of Harned Hall and renovation of Thompson Hall are complete, the Science Center at Puget Sound will include approximately 173,000 gross square feet and accommodate 102,000 net square feet of assignable space with a 59 percent efficiency factor. The assignable space is divided into the categories listed below. The project will be bid and constructed in phases. The first phase will include sitework and new construction. Subsequent phases will involve the bidding and renovation of the south, north and east wings of Thompson Hall. The chemistry and biology departments are now working in spaces built nearly 40 years ago with ventilation infrastructures that no longer serve students adequately and that do not meet modern code requirements. New and renovated laboratories will correct these deficiencies. To provide maximum flexibility and interaction, laboratories in the Science Center will minimize fixed barriers. Novel modular bench designs and ceiling access to utilities will allow rearrangement of the laboratories into various configurations. Ventilation hoods and reagent shelves will be located along the perimeters to maximize visual contact between teachers and students. Additionally, biology will share use of the animal suite and the anatomy laboratories with three departments not housed in the Science Center: psychology, occupational therapy, and physical therapy. A generation ago, when a lecture format was more typical than it is today, science at Puget Sound was often taught in large sections. 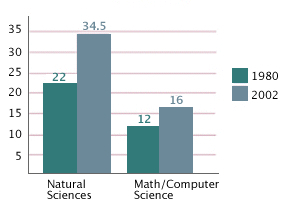 Current science classes, though more numerous, are smaller. 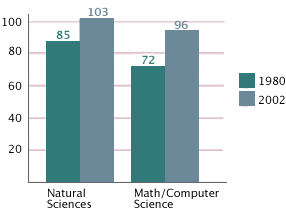 In 1980 Puget Sound offered 157 courses in the natural sciences, mathematics, and computer science. That number today is 199. The completed Science Center will house classrooms that offer multimedia capacity and that can be configured for students to work individually or in small groups. Because the existing large lecture hall in Thompson Hall is rarely used to its capacity, it will be replaced by smaller classrooms and a new home for the Slater Museum of Natural History. Providing safe laboratory spaces for teaching and research is of paramount concern. Critical factors such as electrical, plumbing, heating, cooling, ventilation, and fire suppression are designed to exceed requirements. The Science Center will have its own generator to support ventilation in the event that power to the building is lost. Reliable information technology—the servers, software, and pipes that bring electronic and computing tools to classrooms and labs—will exceed current needs in order to meet needs into the future. The Science Center will feature seating space for small group discussion and informal meetings before and after laboratories and classes. The new entrances at the northeast and southeast corners of Thompson and on Union Avenue will invite students into the building. A courtyard and enclosed gazebo with an espresso café will provide year-round venues for lectures, student presentations, and campus-wide events. The model photos below illustrate the way the new atrium will open to both Union Avenue and the interior courtyard. At 51,000 gross square feet, the construction of Harned Hall represents a $25 million investment. The renovation of Thompson Hall will bring the total cost of the project to an estimated $63 million. The first phase of construction will be funded entirely with gifts and university reserves. Throughout all phases, the university will actively seek the support of constituencies that strive to advance science and that have a stake in the success of this project. Gifts of all sizes from individual alumni, parents, and friends will make a crucial difference, including helping to attract matching support from major corporations and foundations.